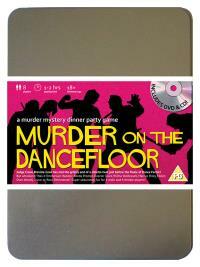 You've been invited to play the role of MARCUS HILEY in Murder on the Dancefloor. It’s the eve of the final of Dance Factor and the competition is tighter than the male dancers’ leotards. Crane Breville Cowl decides to host a pre-final bash to relieve everyone’s tension and invites the finalists and his colleagues to come along, but all he gets for his troubles is a stiletto heel in the head. Join with us to find out who stepped on Crane’s parade! Judge (just turn up and you’ve scored!) Costume Suggestion : With bright pink shirt and a dash of makeup (it’s not just for the ladies you know), your flamboyant dress sense has been a cause for concern for the show’s producers for some time. Maybe your cowboy boots and fake tan will make them happier. You’ve built a career teaching ballroom dancing to children but being a judge on Dance Factor is by far the best job you’ve ever had. You were especially thrilled to be reunited with your old friend Crane, who you haven't seen for twenty years!